There is little to say about the rough stone facade or the interior of Santa Maria del Carmine; the church burned in 1771 and was reconstructed shortly after. Miraculously, however, the church's Cappella Brancacci, one of the seminal works of Florentine Renaissance painting, survived both the flames and attempts by the authorities to replace it with something more fashionable. 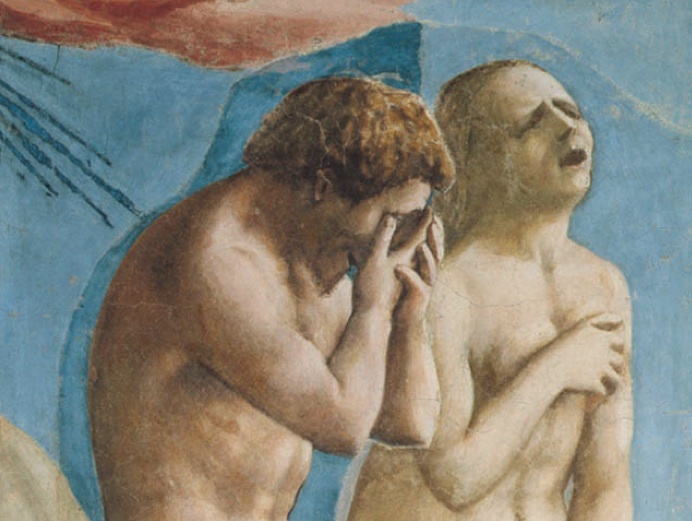 Three artists worked on the Brancacci’s frescoes: Masolino, who began them in 1425, and who designed the cycle, his pupil Masaccio, who worked on them alone for a year before following his master to Rome, where he died mysterious at the age of 27, and Filippino Lippi, who finished them 50 years later, when the Brancacci, who were silk merchants exiled by the Medici in 1436, were permitted to return. By then Masaccio’s work was legendary and had been closely studied by all the painters in Florence, and Filippino took care to imitate him as closely as possible, giving the frescoes the appearance of stylistic unity. Between 1981 and 1988 the chapel was subject to one of Italy’s most publicized restorations, cleansed of 550 years of dirt and over-painting and, controversially, Adam and Eve’s fig leaves, enabling us to see what so thrilled the painters of the Renaissance. Masaccio in his day was a revolution and a revelation in his solid, convincing naturalism; his powerful figures, inspired by Donatello’s sculptures, are real men and women’s bodies, without any fussy ornamentation or Gothic grace, feeling real emotions. One only has to compare the elegant Temptation of Adam by Masolino, where the beautiful figures gracefully gesture under the gaze of the woman-headed serpent, with Masaccio’s Expulsion of Adam and Eve, opposite; the despair of the first two humans, weeping and howling as they leave the exceedingly narrow gate of paradise, is one of the most memorable and harrowing images created in the Renaissance and one of most unforgettable images in art—only Edvard Munch’s Scream comes close. Next to it, in the Rendering of the Tribute Money, the young artist displays his mastery of Brunelleschian artificial perspective and light effects. The three episodes in the fresco show an official demanding tribute from the city (in the centre), St Peter fetching it on Christ’s direction from the mouth of a fish (on the left) and, lastly, his handing over of the money to the official on the right. It is an unusual subject in art, and it seems that Felice Brancacci especially chose it as a comment to show his support for the introduction of a property register in Florence, even though it would make it easier to tax rich men like himself. Other works by ‘Shabby Tom’ include St Peter Baptizing the Neophytes (note the realistic shiver and wetness) and St Peter Healing with his Shadow, both on the upper register, and St Peter Enthroned and Resurrecting the Son of the King of Antioch from a shroud filled with bones, the right half of which was finished by Filippino Lippi, who added the portraits of (from right to left, of Masolino, Masaccio, Alberti and Brunelleschi). Masolino’s elegant and graceful Healing of the Cripple and the Raising of Tabitha (c. 1425) was also revolutionary for its time, with the action taking place in a typical Italian piazza, complete with clothes on the line and a pet monkey. He was responsible for the rest, except for the lower register’s Release of St Peter from Prison, St Peter Crucified and St Paul Visiting St Peter in Prison, all painted by Filippino Lippi, based on Masaccio’s sketches. Among the detached frescoes displayed in the cloister and refectory is a good one by Filippino’s dad, Fra Filippo Lippi, who was born nearby in Via dell’Ardiglione, and the Last Supper by Alessandro Allori. Hours: Mon-Sat 10am-5pm, Sun 1-5pm; adm €7 (€6 on Wed, Thurs & Fri), ages 18-25 €5, under 18 free. Combined ticket with the Fondazione Salvatore Romano.